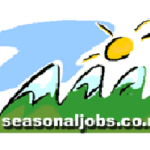 This seasonal work website has offers many job and employment opportunities from all over New Zealand and from many industries, like fruit picking and hospitality. There you find job offers in great popular locations and resort towns around New Zealand. There is a growing demand in New Zealand for seasonal workers. People that are willing to work at short notice and for varying durations, but usually in a great environment that offers freedom and a chance to really see this great country.